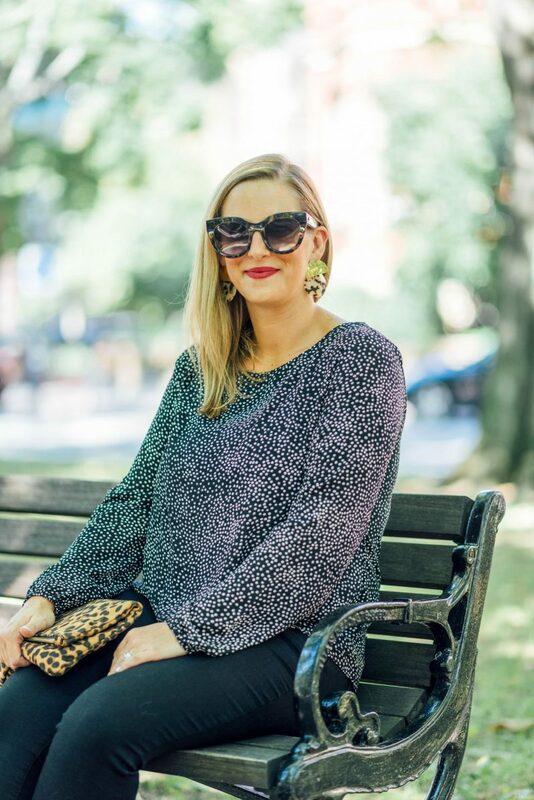 Remember when I warned you that I had a lot of outfit posts with leopard to come? Well here’s one of them! I sincerely hope you guys like leopard print as much as I do because otherwise you might start to get annoyed with me. While leopard is having a major moment this fall, I feel like I’ve been seeing a lot of polka dot printed items too. I love polka dots! 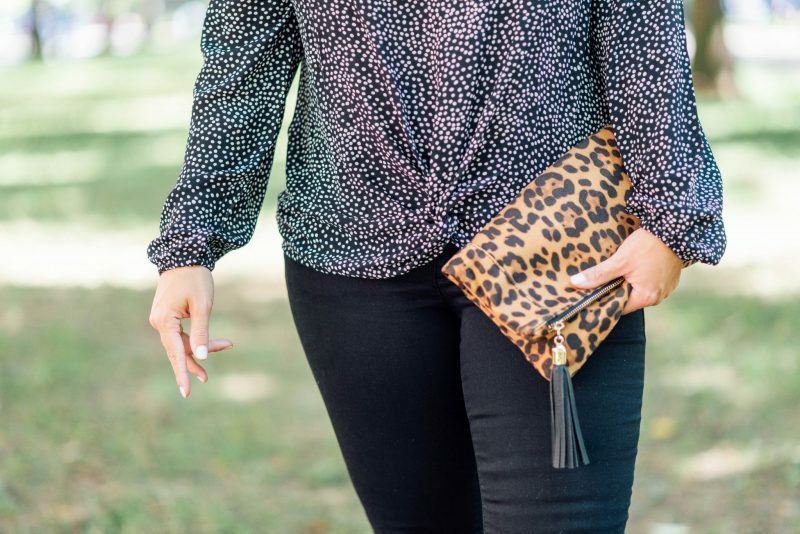 This top with the dot print and knotted hem is a recent fave for both work and play. It’s great with jeans for the weekend and I’ve also worn it to the office with black skinny pants and heels. 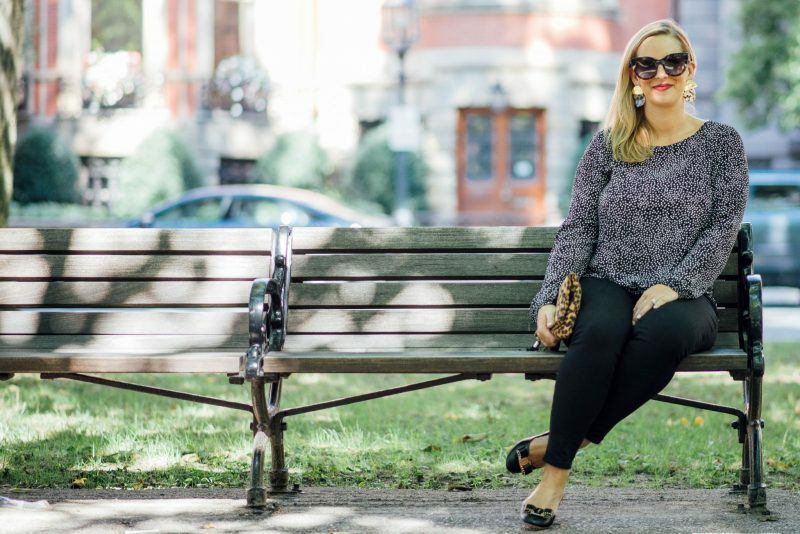 Loft is one of my go-to spots for tops that do double duty like that. Keeping it short and sweet today- hope you have a great day!